Blue Seal make very reliable and desirable equipment with great performance. Ideal for cooking steaks, fish and vegetables. 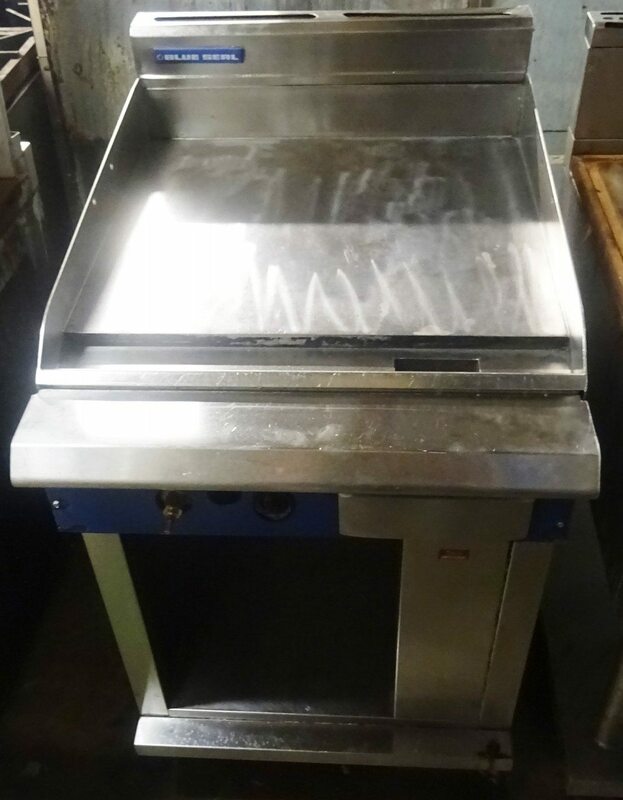 The flat griddle is ideal for ‘wets’ such as fried eggs, omelettes, pancakes etc. With piezo ignitors and single burner. Super condition with a open fronted cupboard base.